Twin Disc said it will debut three new products at the Nov. 3-7 Fort Lauderdale International Boat Show. 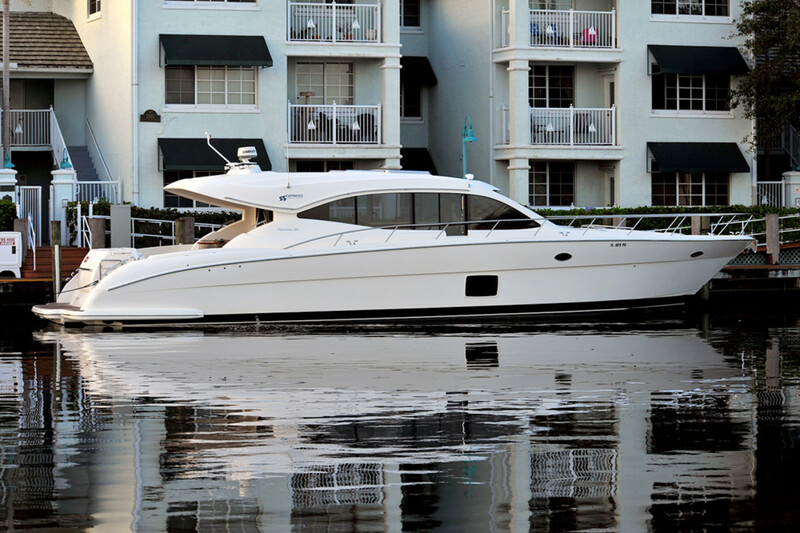 Twin Disc said demos will be available at FLIBS on its 62-foot Maritimo C60. The company will exhibit the equipment in its booth, Engine Tent 1205, 1224, and on its 62-foot Maritimo C60 demo boat, a large, diesel-powered, conventional driveline boat. The boat will depart from the Bahia Cabana six times daily. Twin Disc said the new e-Steer Electronic Steering System is connected to the hydraulic-powered rudder via wires, seeking to reduce leaks and loss of steerage. The e-Steer system features Speed Sensing technology, providing helmsmen with adaptive resistance with the goal of making the helm firmer when at full throttle and lighter when maneuvering slowly, the company said. Twin Disc said e-Steer also offers Dynamic Rudder Control so the range of rudder movement is proportional to the vessel&apos;s speed, preventing sudden, unintentional or accidental changes while at speed. Building on its Express Joystick System, Twin Disc has added an option of a module that interfaces with a range of CAN-based digital thruster systems. The company said this provides owners with the ability to take advantage of the joystick system and select the thruster that works best with their boat. Also to be introduced at FLIBS is a rethought EC-300 Power Commander control system. The company said the control head now features a magnetic, contactless Hall Effect sensor, rather than a traditional electro-mechanical version.